Amikacin Injection is specially formulated as a challenge to M. Tuberculosis. 99% of M. Tuberculosis strains are inhibited by 4 g / ml of Amikacin. The Amikacin Injection assures dependable response for clinical success. 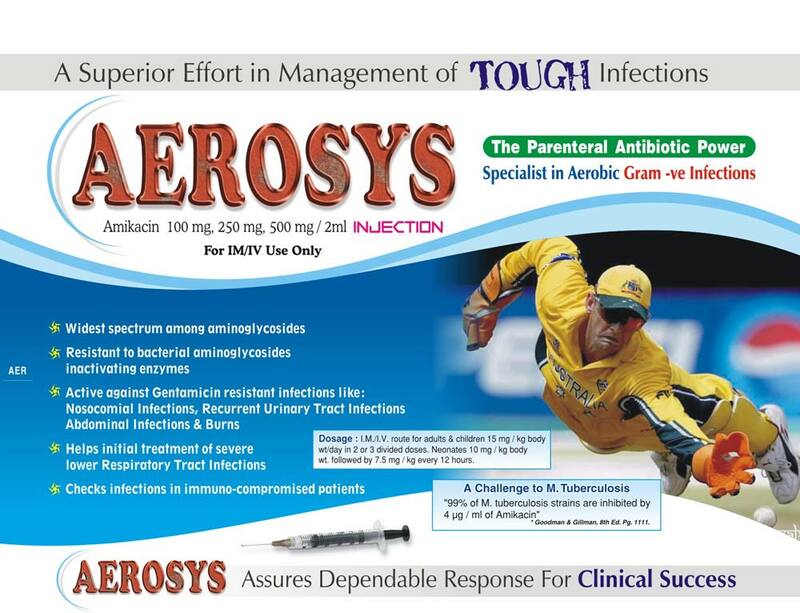 It is a superior effort in management of tough infections. It comes as Amikacin 100 mg, 250 mg, 500 mg / 2ml Injection. The Amikacin Injection with parenteral antibiotic power is prescribed for IM/IV use only. Dosage : I.M./I.V. Route for adults & children 15 mg / kg body wt/day in 2 or 3 divided doses. Neonates 10mg / Kg body wt. Followed by 7.5 mg / kg every 12 hours.